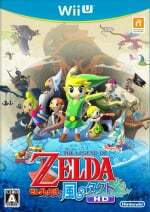 Yesterday brought the news that Nintendo of America is applying a formal $50 price cut to the 32GB Wii U model, beginning on 20th September alongside the launch of a limited edition Wind Waker HD bundle. The price cut will apply to standard bundles, also, but while Nintendo of Europe confirmed an equivalent Zelda bundle its primary statements didn't refer to a formal price cut. As is standard in the region, individual retailers set their own prices, meaning that Nintendo can't definitively confirm a price cut of a certain value. It can reduce the wholesale trade price to retailers, however, with the assumption that the saving is then passed to the customer in pursuit of sales. We contacted Nintendo regarding a Wii U price cut in Europe, and it's provided the following statement. As part of a price reduction initiative, Nintendo of Europe will be reducing the European trade price of Wii U Premium Packs (32 GB) to retailers from 4th October 2013. At the same time Nintendo of Europe will also be launching an exclusive limited edition Zelda themed Wii U bundle - The Legend of Zelda: The Wind Waker HD Premium Pack (32 GB) & the (Limited Edition) LEGO City Undercover Premium Pack (32 GB) which will also be available to retailers at the same lower trade price as the already launched Wii U Premium pack which are currently available in the market place. A vast array of exclusive Wii U games are also launching over the next few months from some of Nintendo’s best known and loved franchises. From Donkey Kong to Mario and Zelda, Nintendo will be offering unforgettable gameplay experiences in the months ahead. 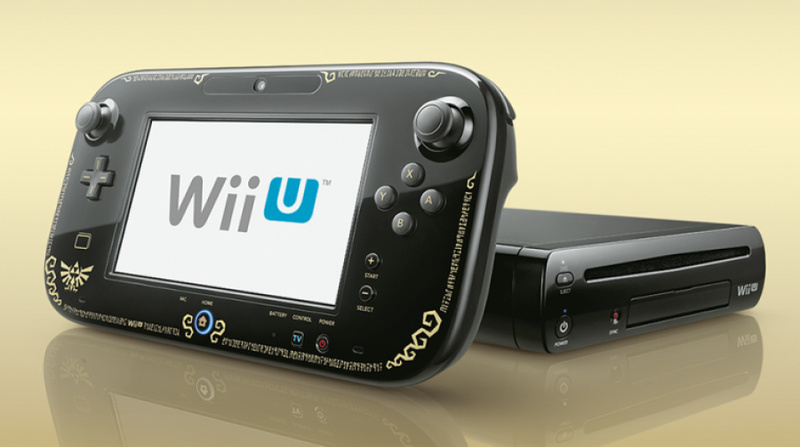 Now is the time to own a Wii U. 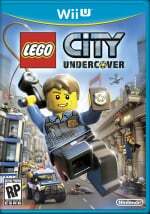 Like in North America, a price cut on the 32GB Wii U model will coincide with the launch of The Legend of Zelda: The Wind Waker HD, while the LEGO City Undercover bundle is also an interesting choice. It seems increasingly likely that the Basic 8GB model, already being phased out by some retailers, will become less prominent. It's confirmation of what was widely assumed, in any case. If you're in Europe, will you be tempted to grab a Wii U after price cuts on 4th October? Nooooo! It was 19 seconds ago and I'm already beat to it. And my free Ambassador Games are...? Why can't they make one that includes a game I want? @C-Olimar - Don't hold your breath! Nintendo should have made the price cut immediate, this is just going to cause their Wii U sales to tank in September. Wait.. where is my ambassador status? C'mon... Ninty... do it. Maybe the launch of the GC VC, so free GC games.. PLEASE. @Linkstrikesback Those weren't free. And they don't count, otherwise with 3DS Nintendo could have mentioned things like Excitebike, which was free on eShop for a month. @VolcanoFlames I think if enough of us complained we could probably squeeze something out of Nintendo. @VolcanoFlames wii u ambassador games would be great! @C-Olimar But on the other hand it might hurt nintendo... I'm not sure though, we can give it a try by asking nintendo. @C-Olimar No man, let it be , they are struggling enough .. people are so greedy !! Greed is NOT good, different than what Gekko said ..
Wii U ambassador reward of some kind would be nice. But we already enjoyed some benefits that others will miss out on like the .30 cent games and the digital download incentive. Plus, the games are now rolling in and at least in the US it was an $80 price drop at a quicker rate (less than 6 months) as opposed to a $50 price drop about a year later. Ok, Nintendo. I bought the Wii U for £300, and less than a year later, the price is being reduced. Lets talk free games. 15 is a good number. NES and SNES games would be great. I wont buy a new (next gen) Nintendo console on the day of release ever again, that's twice too I've paid top dollar and then for them to do a price drop. I too think asking for ambassador games is reasonable. As somebody who bought a Wii U less than 3 weeks ago and likes free things, something would be nice. Of course when the Wii 3 comes out nobody is going to but it UNTIL it gets the price adjustment. There will be hell to pay if there is no Wii U ambassador program. The second I'm about to get my 3DS, there is a huge price cut and I can't get the games. So finally, when I get the Wii U, there probably won't be an ambassador program. I don't think Nintendo made this price cut to increase sales. I think they did it specifically so that people in my situation could get ripped off. Every single time I try and buy something, some doodoopoopielovebunnypoops happens right before or after I buy it. I am so sick of this always happening to me in one way or another pretty much every time I buy anything. Nintendo has to do next to no work at all to have a Wii U ambassador program. My Icon is exactly how I feel right now. And I am sure of this. I am sure it would not take Nintendo any work to implement an ambassador program. And I am sure that this always happens to me. DOES THIS FACE LOOK UNSURE TO YOU? There won't be any Ambassador programme. The 3DS got a much bigger percentage off, in a much shorter time. It's pretty normal for a console to get a price cut after a year. Only buy something when you feel it's worth it, and when there's something you want to play. Don't buy a console in anticipation of games coming out later because there's always a chance the price could have gone done before those games come out. Iv had it day one- had doodoopoopieboop games up till now- just started to get some decent games and there's a price drop. Damn right I want some free games like I did with my 3ds. Honestly don't think il buy another Nintendo console again if they don't at least acknowledge their core customers! When are People going to get it in thier heads Price adjustments at about a year after launch IS NORMAL. I brought a band new TV when it first launched, 6 months later the manufacturer cut its RRP so does that mean they should of offered be free subscription to Netflix or something accessable via the tv? NO. Anyone buying a new system at launch or withing 8-12 months knows they will be paying more or getting less in the package than those who decide to hold off.. the sane as anyone buy a WiiU this christmas will pay more than those who wait till next christmas. @Bulby Well, do you already have a 3DS/Wii U? I just feel bad for poor Australia since they're not supposed to get the Zelda Bundle. @WinterWarm Try it. If you know someone with one, play at their place. If not, find a demo station, and play the Rayman demo. You won't regret it, although your wallet might. As I've said before, I'm still waiting for a white Wii U Premium Pack to become available here. I wouldn't object to a drop in price, but I'd rather be patient and wait for a particular colour this time instead of rushing into it only to regret my decision when a better colour comes along. I'm not bothered about buying early, I've been playing MH3U, ZombiU, Nano Assault Neo and earthbound up to now and if the price drop means more sales and games then great! I want this console to succeed! Well, I got a basic today at 180! I could have waited even longer, but as the article stated the prices in Europe are free! Maybe this was the best option! I think nintendo should give something in order to compensate the early adopters (1 game, problably eshop credit is the best option), there were many months without software...and sorry, but if you own another console, aside legocity, mario U, zombiU and nintendoland there was no new games only half ports and major titles skipping the console. I bought my WiiU on day one, and payed 399€, and only now I see new games coming, like 101,pikmin, legends,DK,Zelda and 3d mario but until now I must say this console was overpriced since there were no (new) games available. Pikmin, 3d mario, Mario Kart, New Zelda should be available in day one...and I'm not even talking about 3rd party support. I like nintendo very much, they are a great company that pretty much are "the blamed" for having a video-game industry, but they failed in the launch of the WiiU big time. I will continue to play nintendo games as long as they exist, but I will not be a early adopter again. Sorry for some spelling mistakes but english is not my native language. To tell you the truth, @rjejr I... don't want it to be like so. Ninty HAVE to get it right with their 9th gen console. All consoles should be... good, unless why would you want to release the thing in the first place? OK. I have a Wii U, and.. I feel bad about this cut. Ninty have to do something 'bout this. They could have the new U's have a -$50 account in the eShop, give us back $50 for use in eShop, or give us free games. I love buying systems of choice at launch so I could have my fun immediately, but this may influence. Ninty MUST get their game right with the UNEC*. Is that like the Avengers Initiative?